Retired and have been enjoying the boondocking life for a few years now. Been travelling and exploring Canada & the eastern, south central and western U.S.
We have a home situated on 46 acres (mostly treed) with extensive gardens which keeps us fairly occupied. I enjoy woodturning and gardening but look forward to more time on the road exploring Canada & the U.S. We previously owned and operated a historical Bed & Breakfast so hospitality is also part of our experiences. We now own and operate the 'Stone Cottage Gallery' here on our property offering unique wood turned gifts including "magic wands" one of a kind pens, bowls, vases plus water colour paintings & barn quilts. Enjoy woodturning, golfing and gardening, general handyman skills. Have always enjoyed cooking, hospitality and sharing experiences with people. Have thoroughly enjoyed our experiences to date with many boondockers as well as hosting many as well.We have also stayed in Casinos, Walmarts, Cracker Barrel restaurants. The boondocking experience seems to fit well with how we prefer to travel. Prince Edward County is an Island community in Eastern Ontario, Canada. Home to dozens of wineries, various arts and cultural venues, wonderful restaurants, Sandbanks Provincial Park and home to the PEC Barn Quilt Trails. 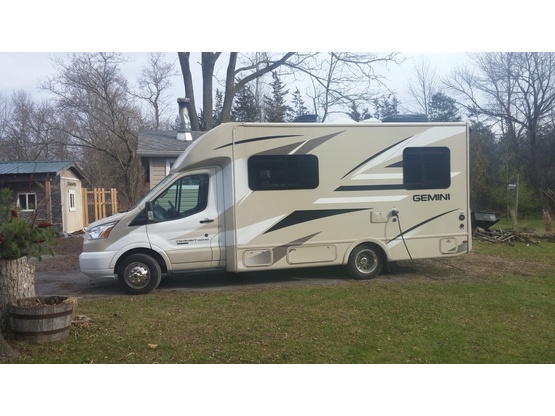 We own a 2017 Thor - Geminii which is 23 ft. long with all the amenities in it that we need and have travelled to many states and a number of places in eastern Canada. Enjoyed having Ron stay with us while during his nearby Pickleball (never heard of this sport before!) tournament. 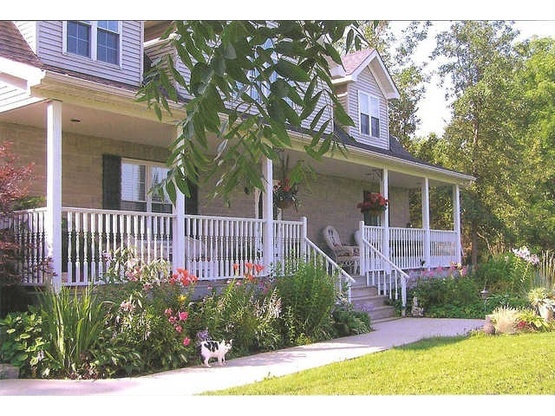 Look forward to returning the favor and staying at his location in Prince Edward county. Enjoyed meeting Ron & Pat...they are welcome back anytime! Great meeting you. Easy to host. Have great adventures! Cossack 1 were great fun to talk with. Very nice couple.. friendly and enthusiastic. Their Motor-home took up almost no room and they were respectful about making use of our electric and water. They were almost never here, hopping around and exploring San Diego. Would welcome them back any time or recommend them to any Boondockers location. Thoroughly enjoyed meeting and hosting them. A very nice couple and look forward to connecting with them in the future. Super nice, quiet, and friendly couple. Ron and Pat became my good friends before they had to depart. I very much enjoyed their company, conversation and especially the shrimp stir fry that they cooked up for dinner one evening. I thoroughly enjoyed their visit and hope to someday see them again. They were so interested in what the area offers and in their hosts. They showed their appreciation and were as considerate as they come. The welcome mat is out whenever they choose to return. Very nice couple , We hope to meet again in our travels out east. They opened our eyes to some new sights even in our area! It was nice to visit briefly with Cossack1. They checked with us plenty of time ahead, and reminded us earlier in the day when they were arriving. Sorry it was after a long day on the road, and we also had to head back off to school and work in the morning. Thanks for the stop and Happy Trails. Hope to see you again. A return visit and we were so pleased to have you. You're such an easy guest and welcome back any time. I hosted the Cossack's for an evening this October. They are the nicest couple you could ever meet. For my first hosting, I couldn't have had better guests. He and I share a common interest in woodworking so we spent a good deal of time in the shop talking. I look forward to visiting them one day soon. Go PEC Barn Quilts They are beautiful. Enjoyed our visit. Come back anytime. We first hosted Cossack1 a few years ago when he was here by himself. As promised, he returned this week and brought his wife. 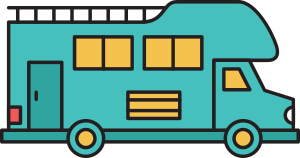 They travel the same way we do (mostly boondocking) and it was so good to hear in person about their many great Boondockers Welcome experiences, both as guests and hosts. Randy and I really enjoyed your visit. Hope you enjoyed your time in Elora. Come back anytime. We hosted Cossack1 and his wife for a single evening. Unfortunately, damp, chilly weather kept us all inside most of the evening, but we did enjoy a brief chat. They were quiet, well mannered guests and are welcome back should they travel this way again. Spent a delightful evening with Cossak1! Lots of good tips and encouragement for us wannabes! Hope to visit them on our travels! They camped here for one night on their way to places of adventure and we enjoyed their company. Highly recommend them. Ron and Pat stayed for one night. They were the first people we have hosted. They were delightful to talk with and we would love to have them return. We also look forward to the day we can visit them in Canada. We had such a nice time with these fellow boondockers! Ron and Pat had such great stories and lots of knowledge to help us once we get on the road full timing. They are always welcome back if they should get to Florida again. We were given a beautiful geranium as an appreciation gift. It is beautiful, and I will think of them when I look at it. Ron and Pat were great guests. They are welcome back anytime!!! Very pleasant and quiet couple. I wouldn't even know I had company if I didn't look out the window. Left a zero footprint. A real asset to the Boondockers community. We just hosted Cossack1 for two nights and really enjoyed his company. You're welcome back any time - hopefully, your wife can join you next time. I hope you enjoyed your walks through Elora and that we were able to answer your questions about winter travels in Texas, Arizona, and New Mexico - maybe we'll meet up down there one day! "rented" out our driveway stall to a fantastic couple from Ontario this past weekend. Had a nice night getting to know them and we were glad we could provide them with a safe free place to stop for few nights on their travels near our home. Thx for that good relaxing time. I slept as a baby. This place is very silent, I will come back again for sure! It was our first experience with boondocking and we where so happy to do it whit Ron and Pat. Great people and à fantastic place. Hope we will come back again. Merci à nos hôtes pour leur accueil chaleureux et généreux dans un environnement enchanteur. Nous recommandons fortement ces hôtes. We thoroughly enjoyed our stay with Ron and Pat. We would highly recommend staying at their lovely property. They were very gracious and accommodating and we appreciated that they allowed us to camp at their home, and enjoyed talking with them. A great stay! The hosts of Crofton Shire were very welcoming, hospitable and wonderful. Equally wonderful was the property - and what a property it was!! Do take advantage of the walking trails as they have been lovingly created by the hosts with a couple of surprises along the way - including a Shire and a magical forest!!. Crofton Shire was centrally located for our travels within the Prince Edward County and I wouldn't hesitate to go back there another time. Thank you!! Amazing Hosts. Beautiful place. Loved everything about my short stay! Thank you for letting us stay.hope to repay the experience when you get to muskoka. Our hosts were very friendly and made us feel very welcomed! The site is quiet, clean and well-maintained. We had a very good experience here and would gladly recommend them for future guests. The night skies here great for star-gazing (a fantastic experience for urban dwellers, which we are)! Thanks very much for a great introduction to the RV'ing world! Wonderful hosts and boondocking location! We stayed two peaceful nights at Cossak1’s boondocking location. Our RV was parked beside their beautifully landscaped backyard. In the morning, we would enjoy our breakfast while looking at their lovely garden and watching all the birds coming to the feeders. Cossak1 were wonderful hosts! We wanted to go cycling in the area and they suggested some less traveled roads with scenic views. We really had a great time cycling on these roads! We also talked to them about an upcoming road trip and they gave us good advice on finding boondocking sites along the way. We highly recommend this welcoming couple as hosts! cossack1 hosted us for a night and it was very pleasant. we had supper on his picnictable and talked about our travels. the location is beautiful with the garden to walk and the birds in the morning. Such a gracious couple and a beautiful site. I was lucky enough to be there for an Art Show too, Memorable. We were welcomed warmly to their lovely property and told to enjoy the gardens and trails - a treat to be sure. We were hosted by Cossack1 and had a wonderful stay on their beautiful property. So sorry we didn't get a chance to meet you Ron, hope you are feeling better now! Thank you both so much for a great trip. Our first boondocking experience. The hosts accepted to have both my friend's and our motorhome at their place. Our hosts were not there for our visit, I guess they were boondocking somewhere! They seem to be very nice people (I met the neighbours) and they have a beautiful home and garden, very quiet place where you can relax and rest before visiting the surroundings. Many wineries to visit in the regions of Prince Edward County. Would have liked to meet them but just being at their home, we know them already just by the way the created their gardens. Enjoyed a one night boondocking experience. An interesting & hospitable couple.